My contribution for a dinner party this weekend was a cheese platter and Tiramisu Cake. 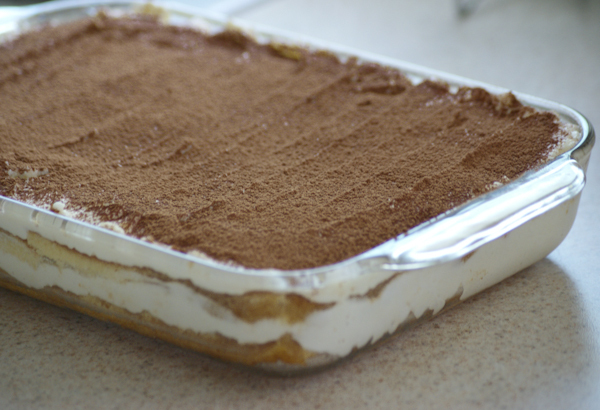 I altered several tiramisu recipes I found online to make it easier, since I wasn’t in the mood to mix eggs over a double boiler, or search the island markets for lady fingers. So I used cake instead of lady fingers and a no-cook cream recipe. 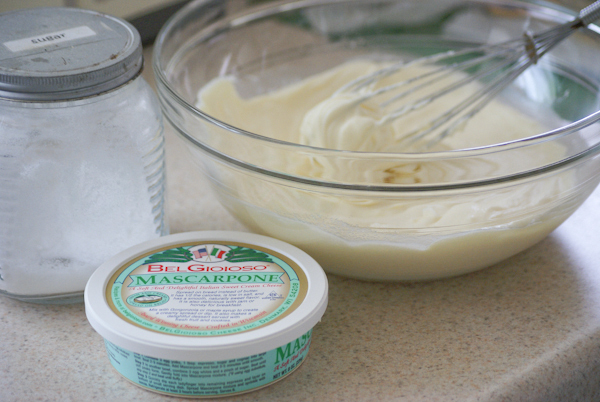 Mix mascarpone cheese, sugar, and liquor in a bowl. Fold in whipped cream. In a container, put down a thin layer of cake, brush with coffee mixture. Spread half of the cream on top. Cover with another layer of cake, and brush with coffee again. Top with rest of the cream and dust with cocoa powder. I agree. Marscarpone is lovely. Solid heavy cream? Yes, please.